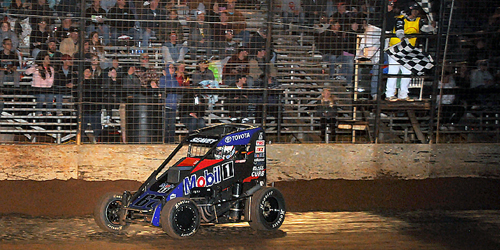 Lonnie Wheatley, TULSA, Okla. (April 10, 2019) – With the 2019 Midget racing season kicking into high gear after last weekend’s Kokomo Grand Prix, Logan Seavey holds the slimmest of leads over two-time and reigning Chili Bowl champion Christopher Bell in the www.midgetmadness.com Midget Power Rankings. After a pair of POWRi “Turnpike Challenge” wins in March, a pair of Kokomo Grand Prix top tens was just enough to push Seavey ahead of Bell as he vies for the top spot in the Midget Power Rankings for a second consecutive year. Seavey is just three points ahead of Keith Kunz Racing stablemate Bell with the Clauson-Marshall Racing duo of Zeb Wise and Tyler Courtney next on the charts in third and fourth. A third KKR rep rounds out the top five with Tucker Klaasmeyer in fifth. Justin Grant sits sixth in the early going with C.J. Leary, Zach Daum, Brady Bacon and Chad Boat rounding out the early top ten. 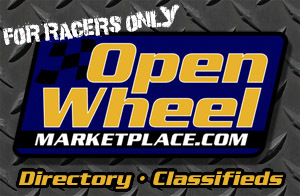 The www.midgetmadness.com Midget Power Rankings are a part of the Open Wheel Power Rankings at www.sprintcarmania.com that also includes STIDA Winged 410s, Non-Wing Sprint Cars and Rod End Supply Winged 360s. 2018 – 1. Logan Seavey (9) 734, 2. Tucker Klaasmeyer (6) 483, 3. Ryan Robinson (1) 457, 4. Tanner Carrick (2) 442, 5. Christopher Bell (9) 345, 6. Chad Boat (2) 321, 7. Tyler Courtney (3) 312, 8. Zach Daum (1) 295), 9. Kevin Thomas, Jr. (5) 294, 10. Justin Grant (2) 281. 2017 – 1. Spencer Bayston (8) 668, 2. Tanner Thorson (7) 608, 3. Shane Golobic (1) 444, 4. Tyler Courtney (5) 408, 5. Justin Grant (3) 359, 6. Christopher Bell (10) 346, 7. Brady Bacon (4) 342, 8. Zach Daum (1) 325, 9. Ryan Robinson 289, 10. Tyler Thomas (6) 277. 2016 – 1. Tanner Thorson (16) 795, 2. Spencer Bayston (3) 666, 3. Carson Macedo (3) 551, 4. Zach Daum (4) 469, 5. Brady Bacon (1) 356, 6. Bryan Clauson (5) 317, 7. Chad Boat (3) 310, 8. Tyler Thomas 294, 9. Ryan Robinson 282, 10. Justin Peck (1) 273. 2015 – 1. Tanner Thorson (7) 548, 2. Darren Hagen (5) 522, 3. Spencer Bayston (5) 500, 4. Rico Abreu (9) 488, 5. Christopher Bell (8) 438, 6. Bryan Clauson (6) 422, 7. Andrew Felker (3) 383, 8. Zach Daum (3) 379, 9. Kevin Thomas, Jr. (3) 373, 10. Tyler Thomas (2) 276. 2014 – 1. Christopher Bell (16) 659, 2. Zach Daum (4) 589, 3. Bryan Clauson (10) 555, 4. Rico Abreu (5) 449, 5. Darren Hagen (6) 421, 6. Tanner Thorson (2) 411, 7. Andrew Felker (3) 313, 8. Tracy Hines (2) 304, 9. Tyler Thomas (1) 283, 10. Alex Bright (5) 244. 2013 – 1. Christopher Bell (10) 543, 2. Zach Daum (8) 504, 3. Darren Hagen (8) 415, 4. Andrew Felker (2) 406, 5. Rico Abreu (7) 402, 6. Bryan Clauson (8) 397, 7. Brad Kuhn (1) 325, 8. Tracy Hines (2) 322, 9. Ronnie Gardner (13) 280, 10. Alex Bright (3) 231.